Every year in the UK, there are estimated to be over 3,000 attacks on businesses due to arson attempts, which contribute to over 45% of fires that occur on commercial properties. The majority of these are down to vandals who target the property at the right time. However, as we have seen recently with arson attacks on commercial properties in England, it is extremely hard for businesses to recover from an arson attack. Not only can companies suffer from financial hardship following such an attack, owners and employees must recover emotionally. An arson attack is far more common than we might think, and last year the average cost of arson per business was over £80,000, a staggering sum for smaller companies. Although arson is not completely preventable, more business owners are taking proactive measures against such crimes. 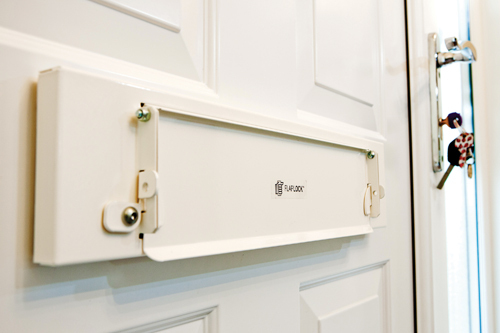 A solution to the problem of letterbox arson is a lockable letter flap, such as the Flaplock. 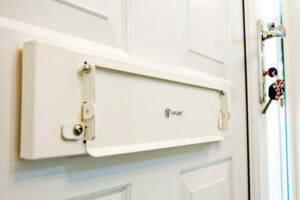 According to Alison Orrells, managing director of The Safety Letterbox Company who manufacture the system: “Flaplock is an inexpensive and extremely effective solution that can be installed in minutes to any door, providing peace of mind and additional security while helping to prevent possible loss of lives and costly destruction to property. The company developed the Flaplock following demand from Arson Task Force teams across the UK. It essentially seals the letterbox and prevents access, providing a practical security solution to protect homes and businesses from criminal intrusion and arson attacks. The unit comes with instructions and four fixing screws for optional use. 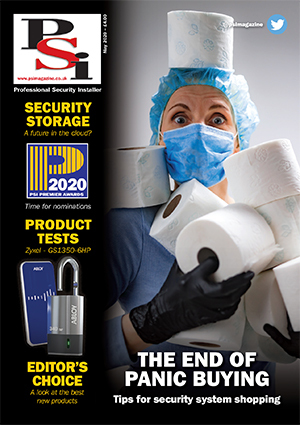 For the simplest fitting method simply remove the protective film from the adhesive pads and press the Flaplock to the inside face of the door ensuring that the aperture in the door aligns with the aperture in the unit. With this installation method the company claims that the lock will protect up to a shear strength of 30.6 kilos. For additional strength the four screws can be used to fix the lock into place. This is also an easy fix as it only involves the removal of two retaining screws at the top of the lock allowing the detachment of the base template, which is then attached using the four supplied screws. The lock is then reassembled and the two retaining screws.